My professional license expired last month so I am forced to go to Professional Regulation Commission to renew my professional license. Renewing my professional license is easier as compared to the process that I underwent when I first applied at PRC after I passed the board exam. Sadly, I shelled a large amount of money during the renewal of my license. The Professional Regulation Commission (PRC) is the government agency that manages all the professions in the Philippines. All professionals, with the exception of lawyers, are required to register at the PRC. The central office of PRC is located in P. Paredes Street cor. Morayta Street, Sampaloc, Manila. 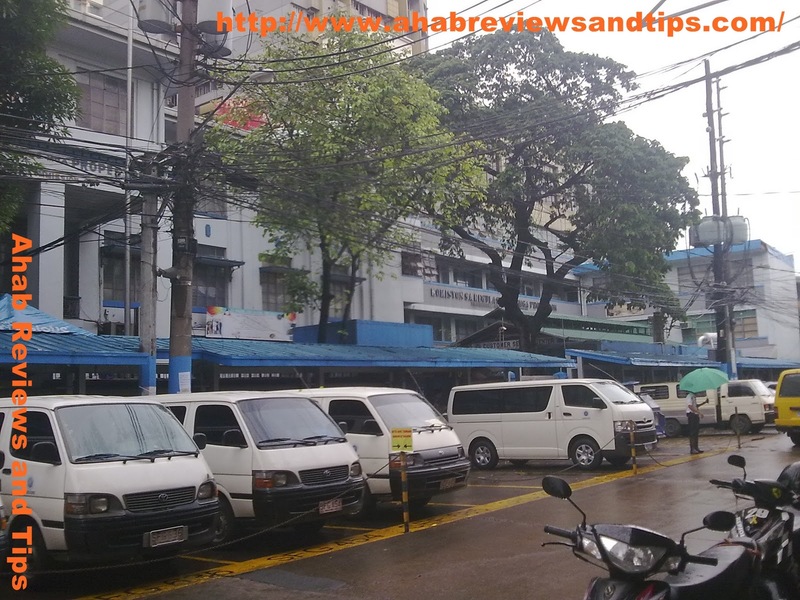 The PRC central office can easily be reached by riding the buses and jeepneys that ply the Fairview – Quiapo route. Just tell the bus conductor or the jeepney driver that you want to go down to Morayta. Applying for professional license renewal is easy and can be finished in just few hours, especially if you avoided the days of registration of nurses and other professions with large number of applicants. Also, be sure to have extra money with you when renewing your professional license. Step 1: Obtain the application for professional license renewal (PRC Reg Form 003) from the Information Window. This window is located near the entrance gate of the PRC main office. The application form is free of charge. The application form can also be downloaded from the PRC website (PDF File). Step 2: Present the duly accomplished form together with requirements at the Assessment Windows. The Assessment Windows are Window 17, Window 18 and Window 30. See the third part of this post for the requirements for the renewal of professional license. The certificate requirement for Mechanical Engineers is currently suspended. If your profession is included in the list, I suggest that you visit your Professional Organization to obtain the required certificate before you head to PRC. Assessment Window clerks will not entertain you if you don’t have the required certificate. Step 3: Pay the prescribed fees at the Cashier at Window 3 or Windows 33 to 36. I paid 450 pesos registration fee because my license just expired this year. I heard that there is an additional fee for those who renew their professional license; years after the license got expired. Step 4: Get you claim slip at Window 30. Make sure that you will not lose your claim slip because you need it when you claim your new professional license ID. The PRC clerk at Window 30 will write the date when you can claim your professional license. The processing time for the license usually takes about three weeks but a friend told me that processing time can be reduced to a week if there are few people applying for professional license. Step 5: Claim your professional license on the date written on the claim slip. If you are sending another person to claim your professional license, make sure that person has a special power of attorney or an authorization letter. Authorized representative should also sign the note located at the back page of the claim slip. Professional license can be claimed at Window 31. For more information on the renewal of professional license, please visit the PRC website or call (02) 736-2248. Read some tips on renewing your professional license at PRC. Visit Before the Eastern Sunset and read about my visit to Pink Sisters' convent in Tagaytay. Good day po,mag ask lang po ako kung pwede mag renew ng license dito sa manila kahit po sa Zamboanga City nagregister ng license. I suggest na paayos mu na lang yan sa PRC. How much napo renewal ng dentist license? I lost my claim stub for my prc license. What do i need to do? How bout fee po s architect renewal? At mgkano rn po dues pg late n mgrenew. Yung fee ay depende sa Architect Associaition nyo. Meron kasing association na nagre-require ng good morald standing bago ma-renew. Yung fee sa late renewal ay depende naman kung ilang taon ka nang late sa pagre-renew. I suggest that you ask the UAP directly regarding your concerns.